We still don't understand what causes migraine. All we can do is be aware of our triggers and try to avoid them. Science still can't accurately explain what causes migraine. Researchers now believe that migraine is a neurological disorder involving nerve pathways and brain chemicals. According to the Migraine Research Foundation, before puberty boys are statistically more likely to experience migraine than girls, however between the age of 10 and 40 women are three times more likely to experience migraine than men, which is attributed to hormonal fluctuation. If this is the case for you, you may need to be aware of what triggers your migraines. It helps to keep track of your migraines in a diary. Unlike headache, those that suffer migraines report an 'aura' - from seeing fuzzy spots to faint headache-like symptoms - that is apparent for anything between a day and a few hours before the migraine hits. It may come as a surprise that eating certain foods and/or fasting for long periods of time without food are migraine triggers. A 2008 Brazillian study found that most patients experiencing regular migraines reported having at least one trigger that was food-related. Common foods that were identified as migraine triggers contained tyramine or phenylethylamine, which are two amino acids found in chocolate, aged or fermented cheese (including all the delicious stinky blue cheeses), salami, soy foods, nuts and vinegar (both red and white). Unsurprisingly, alcohol was cited to be a high trigger substance. Interestingly, red wine was a trigger among women but not men. Red wine triggered migraine in just eight percent of men, but among women the number jumped to 22 percent. White wine was associated with migraine in just 10.5 percent of patients. Before you abstain from vino and stinky cheese for life, the study uncovered the number one source of diet-related migraine triggers to be fasting. Skipping meals is not recommended for a number of health reasons; however, if you are experiencing regular migraines and regularly skip meals in the name of 'dieting', it's time to go back to at least 3 balanced meals a day with interval snacking on fresh foods. Your body - and your head - will thank you for it. This one shouldn't come as a huge surprise. A dramatic increase or decrease in physical or psychological stress is a major migraine trigger. A recent study from Denmark discovered a majority of migraine patients reported that stress was linked to the onset of migraine attacks. Other researchers have reported that between 50 and 80 percent of migraine patients say stress triggers their migraine headaches. 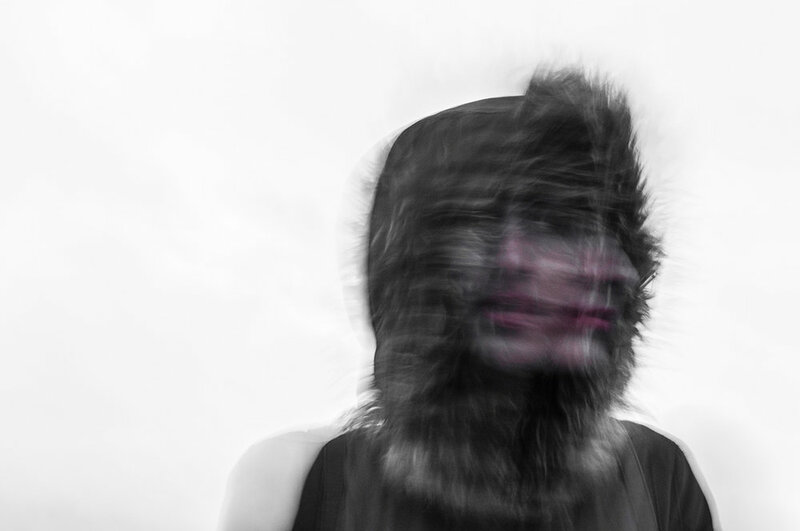 Some patients experienced migraine in the aftermath of a stressful event, while others experienced a new attack in the midst of a stressful event. If you are experiencing stress, gentle physical exercise like Hatha Yoga or pilates is a great way to let off some steam. Practicing mindfulness or mediation twice a day - 20 minutes in the morning and 20 minutes before bed - is another way of helping your mind and body to effectively 'switch off'. If symptoms persist, see your GP. Insufficient sleep is one of the most common factors linked to migraine attacks. Conversely, excessive sleep is a frequently reported trigger as well. Insomnia is the most common sleep disorder associated with chronic migraine. Chronic migraine patients who suffer from insomnia are also at increased risk for anxiety or depression. Jet lag and extreme changes in your work schedule can also be linked to the onset of migraine. Discover my jet lag travel hacks here. The good news is, many patients report that sleep often relieves their migraine headaches. Make your boudoir a place you want to spend time. Invest in a comfortable memory-foam latex pillow. Dim the lights 2 hours before bedtime. For more sleep hacks, read this. Uh oh. Your morning coffee (or 3) has a high chance of triggering migraine. Coffee isn't the only culprit - watch out for excessive consumption of tea, soft drinks and energy drinks where caffeine levels are surprisingly high. Equally, some researchers have noted that caffeine withdrawal may also trigger a headache. Keep in mind that many over-the-counter headache preparations contain significant amounts of caffeine. One recent study concluded that a drug combining acetaminophen, aspirin and caffeine was better at relieving the symptoms of migraine headache than ibuprofen alone. If you need a warm cup of goodness to start each day, try substituting coffee for warm water with lemon. The vitamin C in fresh lemon is a fantastic and effective natural energy boost that also doubles as a detoxifier. For a caffeine-free-kick with an abundance of benefits, try a numeric latte. Dehydration has also been suggested as a possible migraine trigger. Failure to drink enough water has been linked to the onset of headache. A small survey of migraine sufferers revealed that “insufficient fluid intake” was linked to headache onset in about 40 percent of responders. There are loads more trips and tricks on how to stay hydrated here. For starters, try to drink 3 glasses of water in the morning (warm with lemon is the most quickly absorbed - and great for your digestion). Then, try to drink another glass before and after each meal throughout the day. Your head (and the rest of your body) will thank you for it. As a GP, I am frequently asked about what an Osteopath does. Read on to learn more about Osteopathy could potentially help you. Osteopathy is a form of drug-free non-invasive manual medicine that focuses on total body health. Osteopaths believe that massage, movement, stretching and physical manipulation are important for postural alignment. Beginning in the late 1800s, Osteopathy is a form of manual therapy, recognising the link between the structure of the body and the way it functions. According to Osteopathy Australia, all osteopaths in Australia complete a minimum of five years university training in anatomy, physiology, pathology, general medical diagnosis and osteopathic techniques. They are also trained to perform standard medical examinations of the musculoskeletal, cardiovascular, respiratory and nervous systems. These university graduates hold either a double Bachelors or Master qualification. Osteopaths are required, by law, to maintain ongoing professional development and education every year to stay in practice. Who Should See An Osteopath? An Osteopath may look at the area that is troubling you, as well as other parts of your body. For example if you have a sore knee, your osteopath may also look at your ankle, pelvis and back. In addition to the consultation, the Osteopath may provide education and advice to help you manage your condition between treatments. This may include giving you exercises to do at home or work. As a GP, I am frequently asked about what a Chiropractor does. Read on to learn more about Chiropractors and how chiropractic practice could potentially help you. Chiropractors don’t use drugs or medicine. Chiropractic therapy relies on the inherent recuperative power of the body to heal itself, without drugs or surgery. Professional chiropractors recognise the value and responsibility of working in cooperation with other health care practitioners in the best interests of the patient. Australian chiropractors study at university for a minimum of five years, graduating with either a double Bachelor's Degree in Chiropractic Science and Clinical Science, or a Master's Degree, depending on their university. Interestingly, Australia was the first country in the world to incorporate chiropractic courses within the university system in the 1970's. After entering a practice, all chiropractors must complete continuing professional development courses and seminars to upgrade and improve their skills and to stay current on the latest scientific research. Chiropractors can also treat adult athletes for increased performance enhancement and flexibility. Before visiting any specialised health care professional, talk to your GP to determine whether a chiropractor can help you. As with any health practitioner, shop around to find the right person for you.